There are lots of amazing benefits to reaching out and building relationships with bloggers and influencers. No matter whether you’re creating engagement, driving conversions, or trying to create a buzz GroupHigh has a feature that will make your work go faster. The world’s largest and most accurate database of blogs. 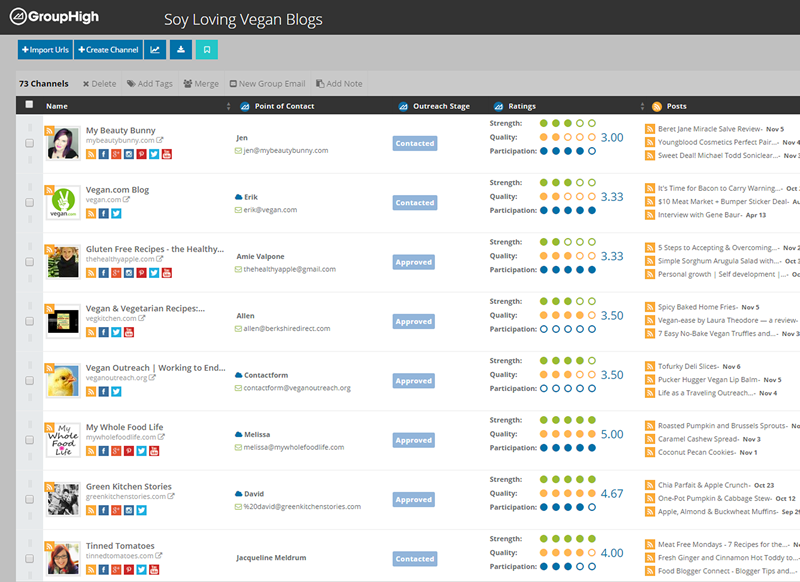 A must-have tool for any company or agency that is looking to create or maintain blogger partnerships. GroupHigh has built the largest, richest, and most current database of blogs. You'll find hundreds more blogs than our closest competitor for every search. The best blogs promote and curate contact on social networks in addition to their blogs. Work with these bloggers to maximum reach. 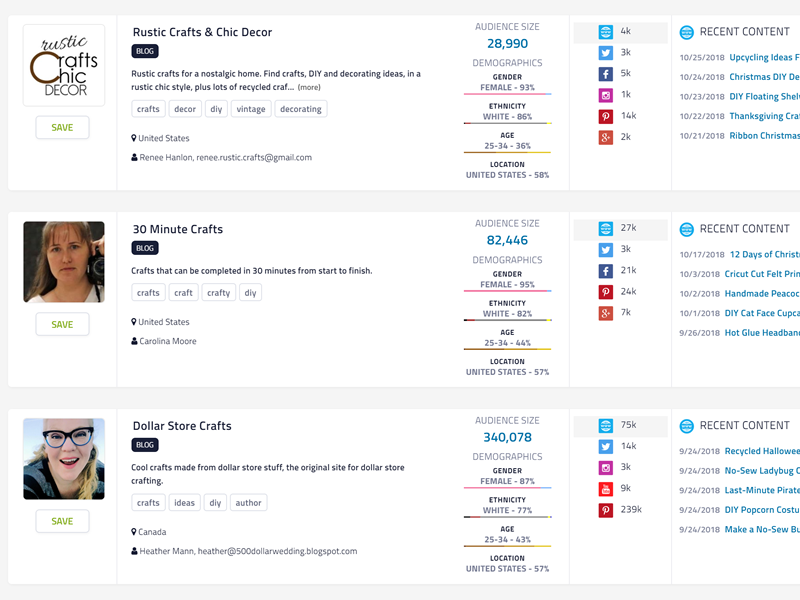 Easily browse the content your influencers are creating on ALL major networks. One of the reasons GroupHigh is loved by agencies and brands that run blogger outreach campaigns is that GroupHigh does the heavy lifting associated with website, SEO, and social analytics. 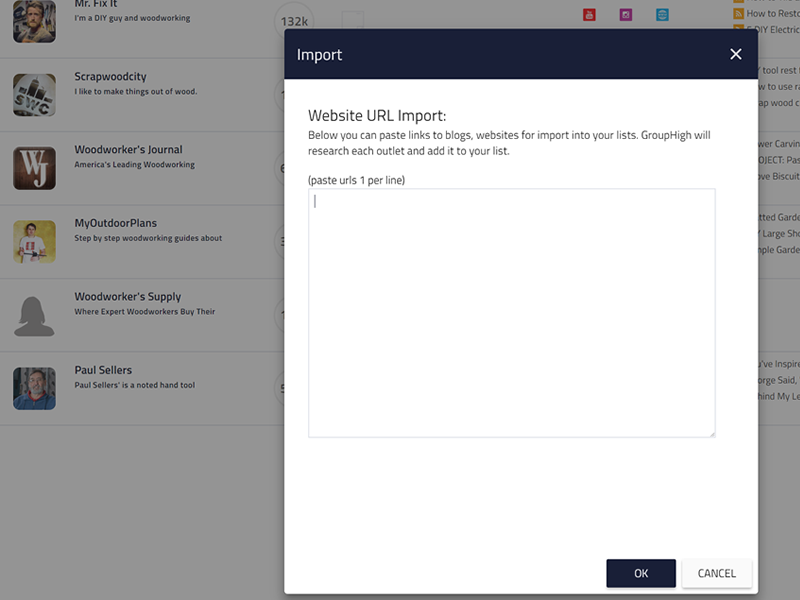 GroupHigh allows you to import raw URLs or upload spreadsheets to discover a URL’s full social footprint, traffic from Compete.com and more than 40 different social, SEO, blog, and website metrics. 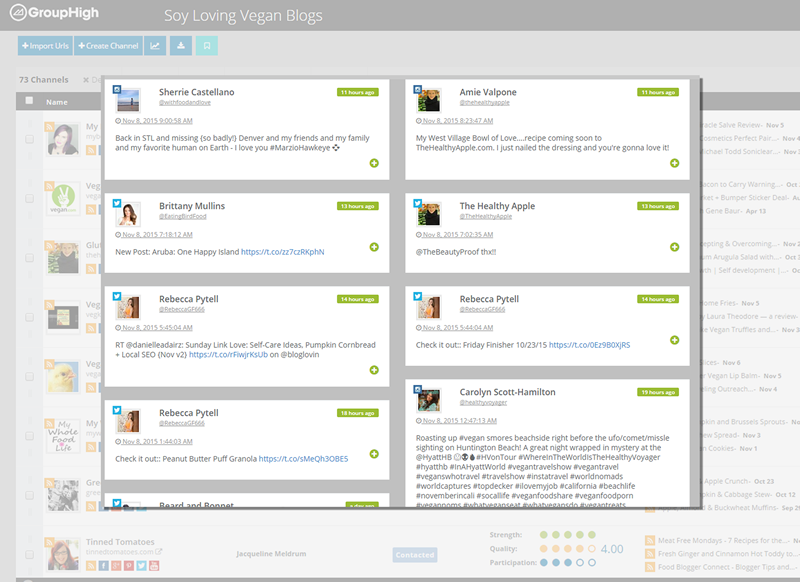 Easily convert your spreadsheets and old influencer lists into rich, complete, social data. 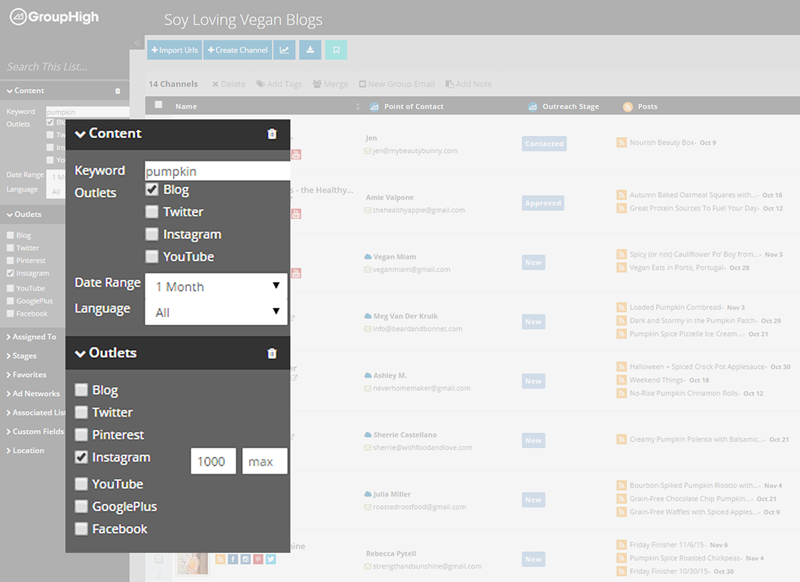 List, Tags, and Powerful filters make long-term management of your influencers easy. 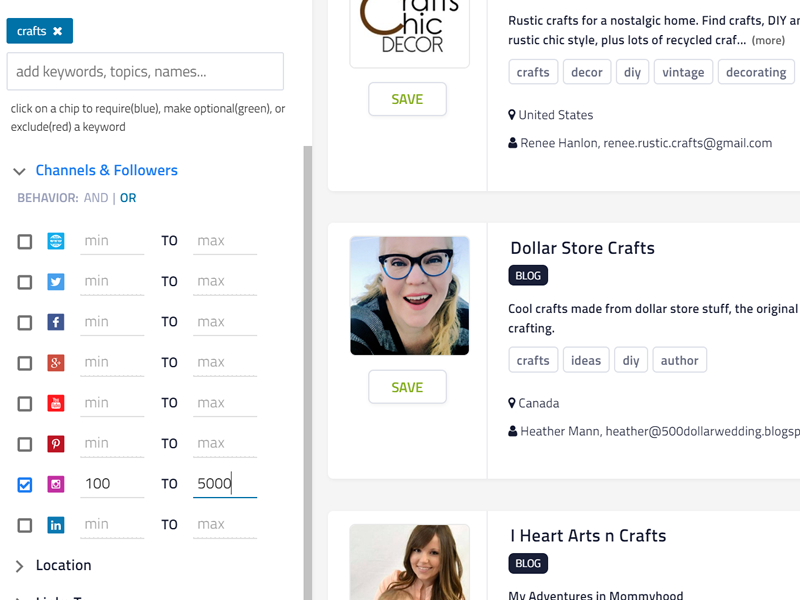 Filter your influencer database by social followers, location, keywords, and recent content. 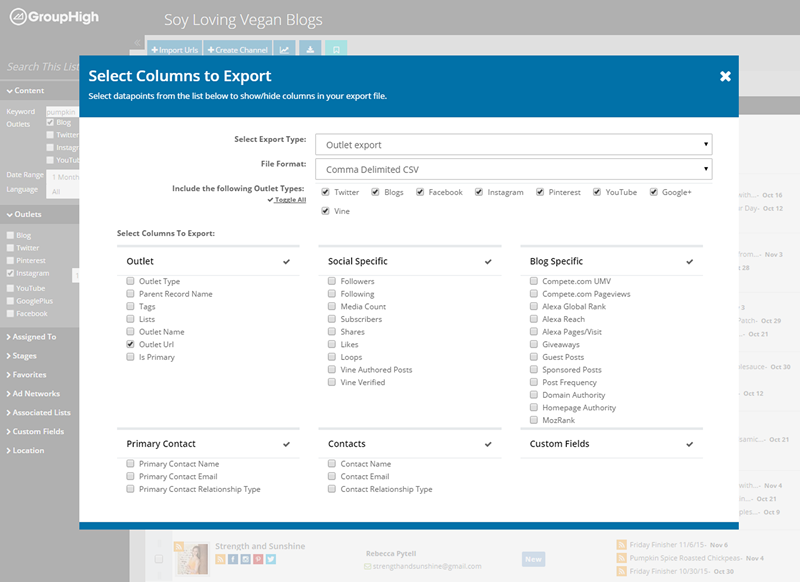 Easily export all of your influencer data to create custom reports and spreadsheets. 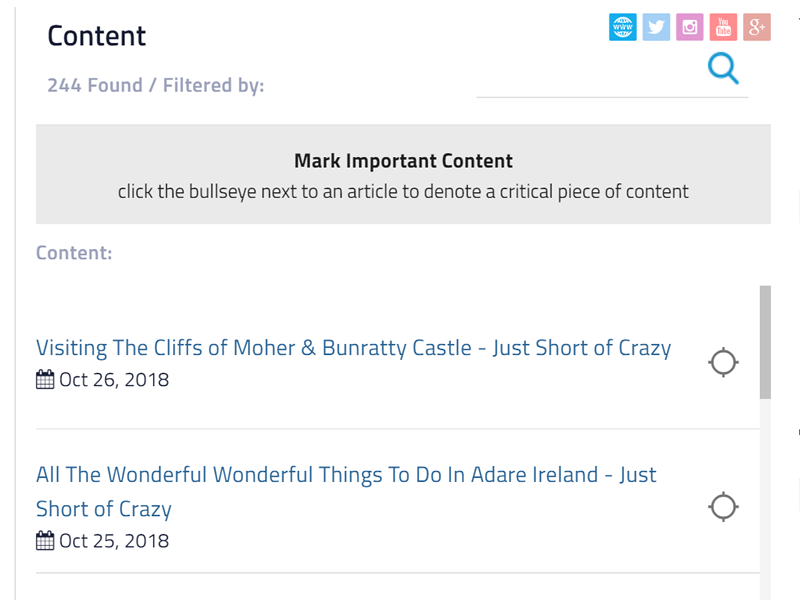 Never go looking for mentions and content again, GroupHigh makes it easy! Along with searching and vetting influencers one of the most tedious tasks is collecting and evaluating the content that your influencer marketing campaign generates. 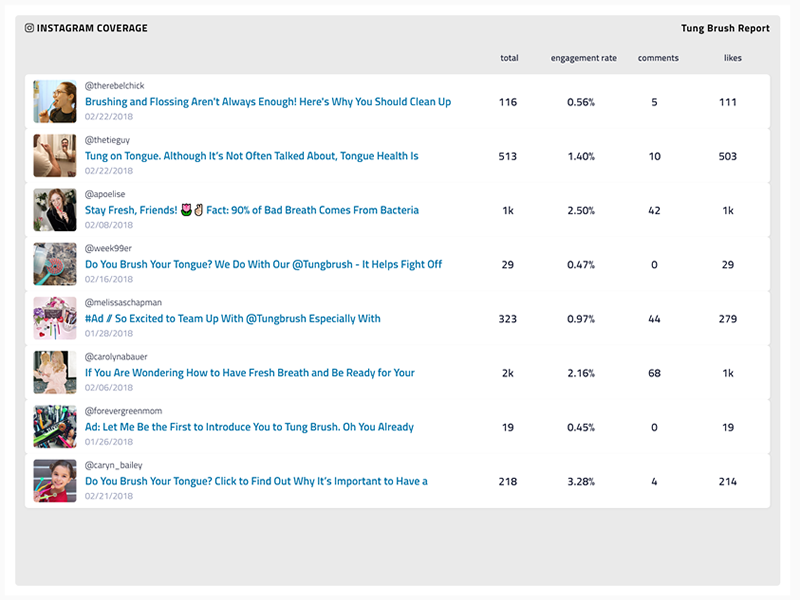 GroupHigh makes it easy to find blog posts, tweets, Instagram posts, and YouTube videos related to your campaign saving you oodles of time to analyze the results. When it comes time to demonstrate the power of influencer marketing; engagement, conversions, mentions, and estimated impressions can get the job done. 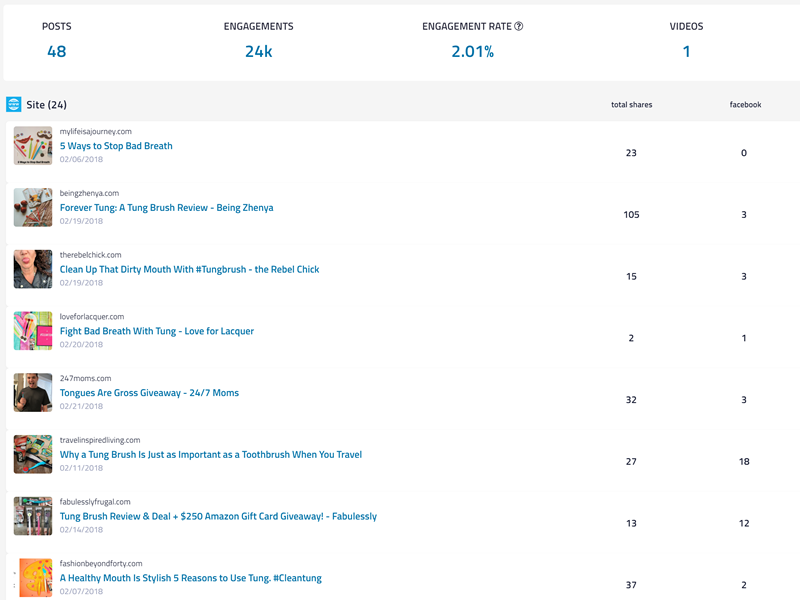 GroupHigh has many powerful reports that help you demonstrate how much traffic your influencers are driving, post engagement levels, and content summaries. We also have a great report that ranks the influencers in your campaign so you can encourage them to share and post on a timely schedule. Breakdown the engagement your content receives and compare it to popular EMV and CPM metrics with our calculators. Measure and create reports for all your owned and earned content. Upload your mention urls and let GroupHigh calculate the engagement and engagement.